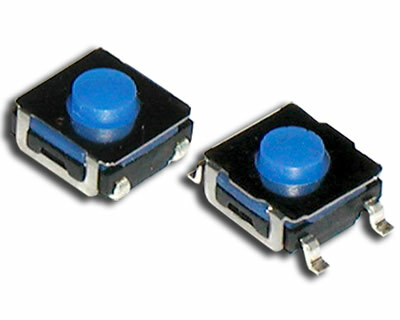 Gull wing or J-lead termination are offered on the CS3304 rubber tactile switch. Single Pole Single Throw and momentary, the CS3304 switch has an actuation force of 160gF with actuator travel of .25mm. Actuator length options are 3.4mm or 5.1mm. This SPST switch features silver plated phosphor bronze contacts and 100,000 electrical life cycles.